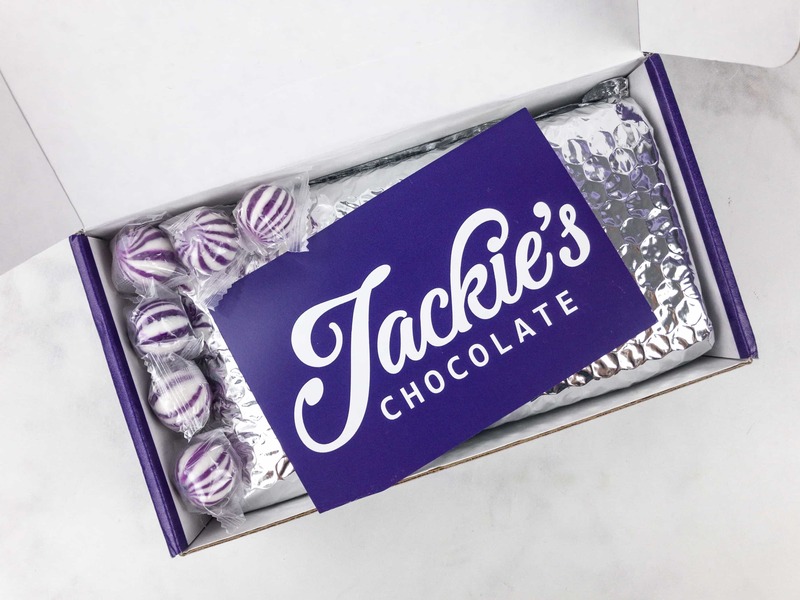 Jackie’s Chocolate is a monthly handmade, gourmet chocolate subscription box that includes creamy caramels, tangy truffles, dark and white chocolates, and a lot more. 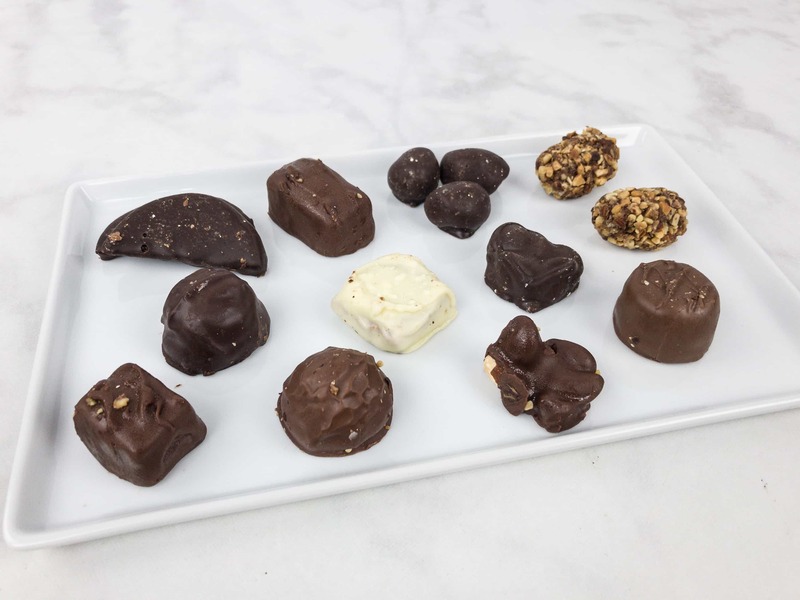 There are three subscription levels available – A Little Taste ($9.95) with 5-6 chocolates, Let’s Indulge ($19.95) with 10-12 chocolates, and Enough to Share ($38.95) with 20-24 chocolates. 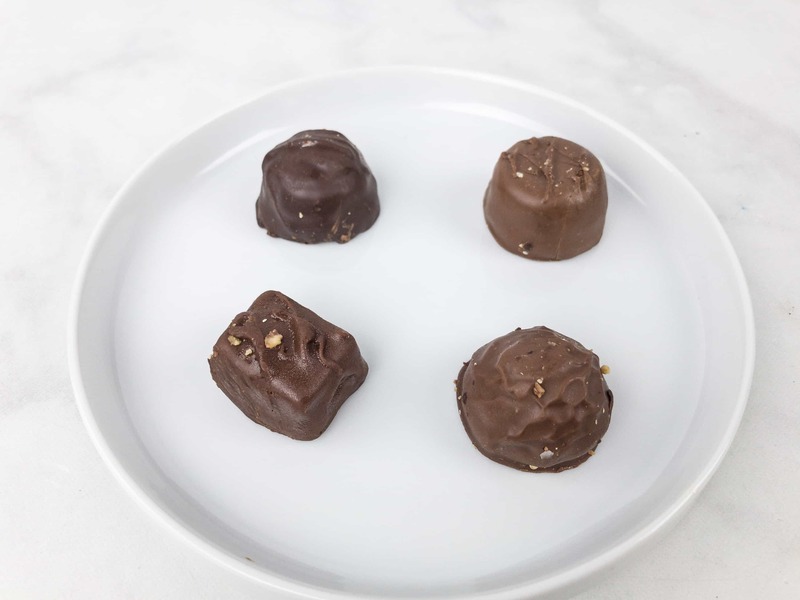 This is a review of the Let’s Indulge Box. DEAL:Save 25% off any subscription! Use coupon code HELLO25. 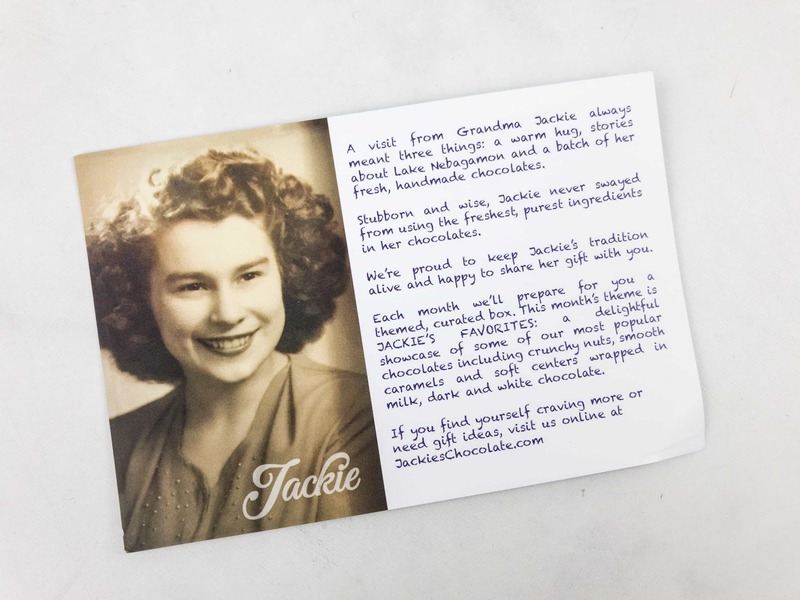 A short note from Jackie’s Chocolate. 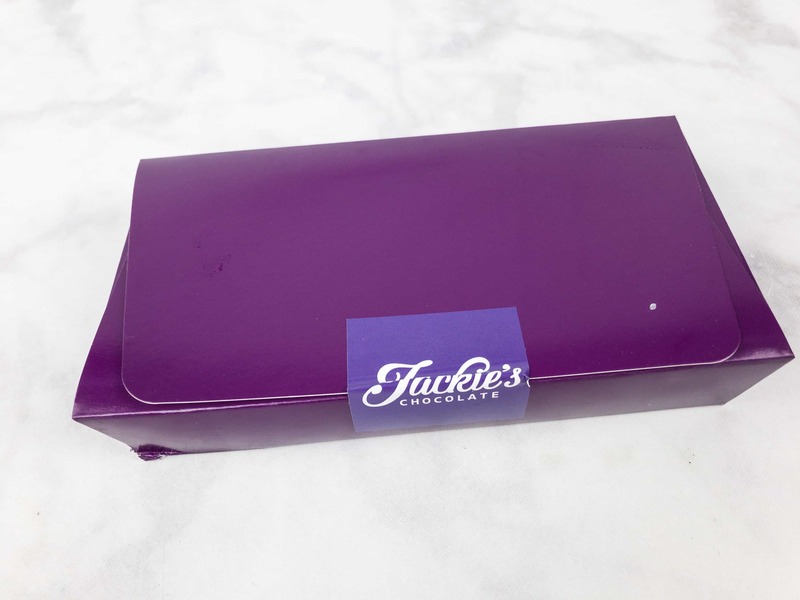 The chocolates are well-packed inside an inner box. 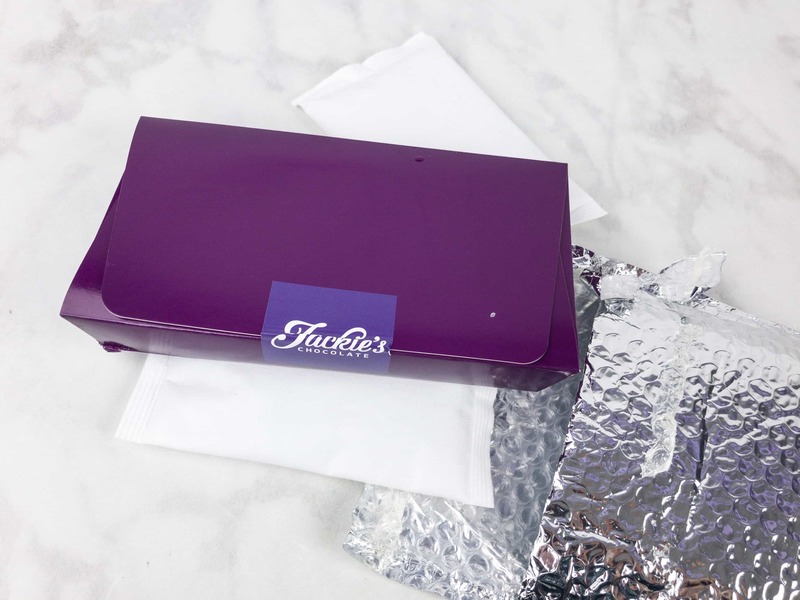 There are ice packs to keep the chocolate from melting. These arrived on one of our hottest days of the year and kept great. I’m excited to see what’s in-store for us this month. A first look of all the chocolatey goodness this month. 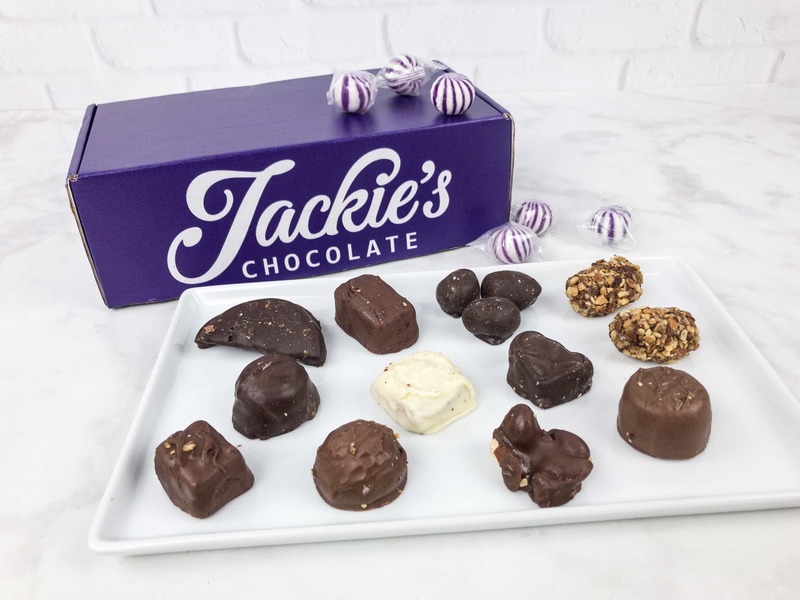 Everything in my very first Jackie’s Chocolate Let’s Indulge box. Everything looked delicious – and substantial! 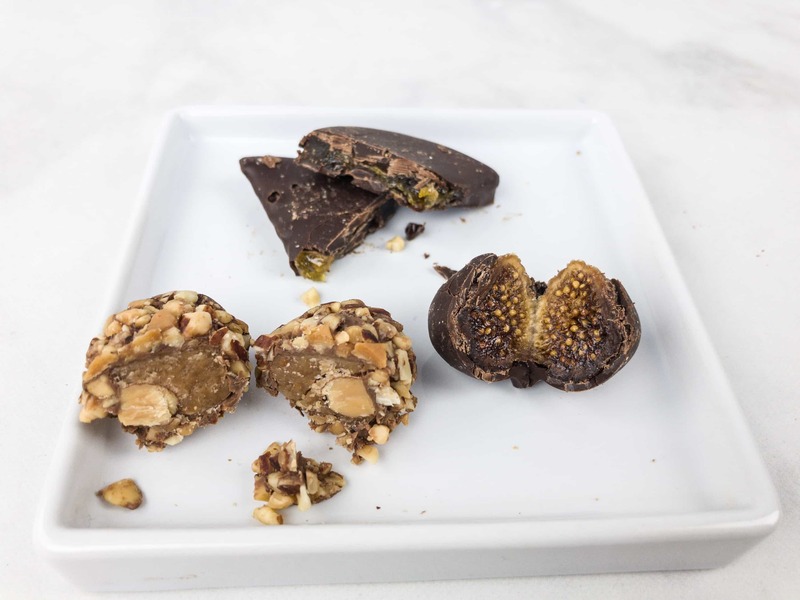 I love figs so I couldn’t have been happier with my first bite – a chocolate covered fig! So good, and naturally sweet. The nutty piece of toffee was excellent (and not rock hard). And that last bite? Chocolate covered jelllied orange peel. I love love love jelly covered in chocolate! This selection had more creams and nougats. The one in the back was like a super classy maple cream with nuts. 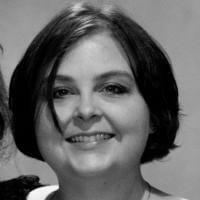 In front of that a caramel nougat with nuts (yeah like a Snickers, but so much better). In the back right a soft chocolate cream wtihout nuts that was super excellent. 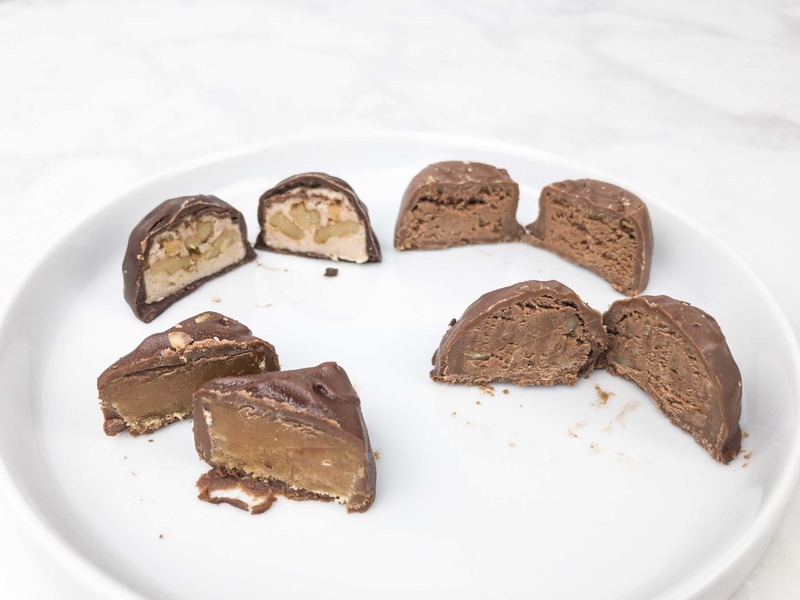 The bon bon before it was similar, but studded with nuts. 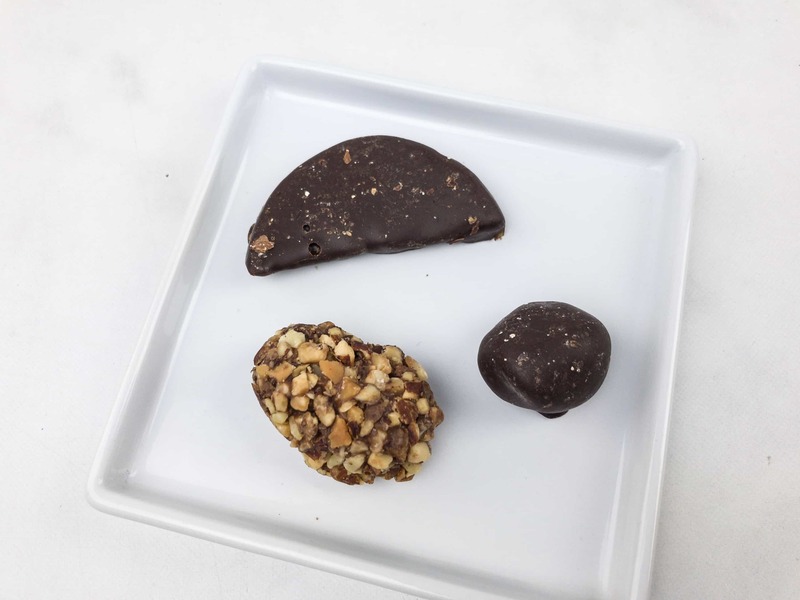 There were a couple almond nut “blobs” that were just completely enrobed in chocolate – one light, one dark. 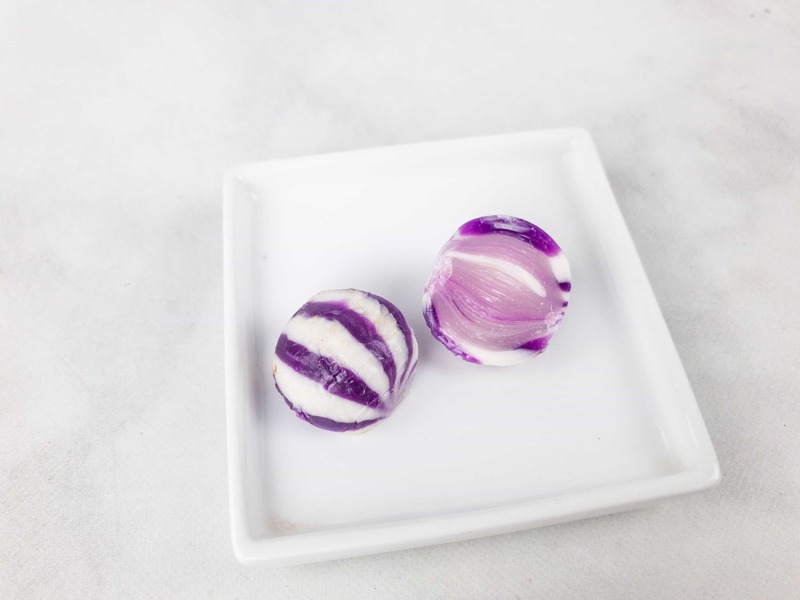 I like the simplicity of these treats. One in the back was a little boozy and I had that swiped away by my husband, but it was a great creamy treat with nuts and some jam. 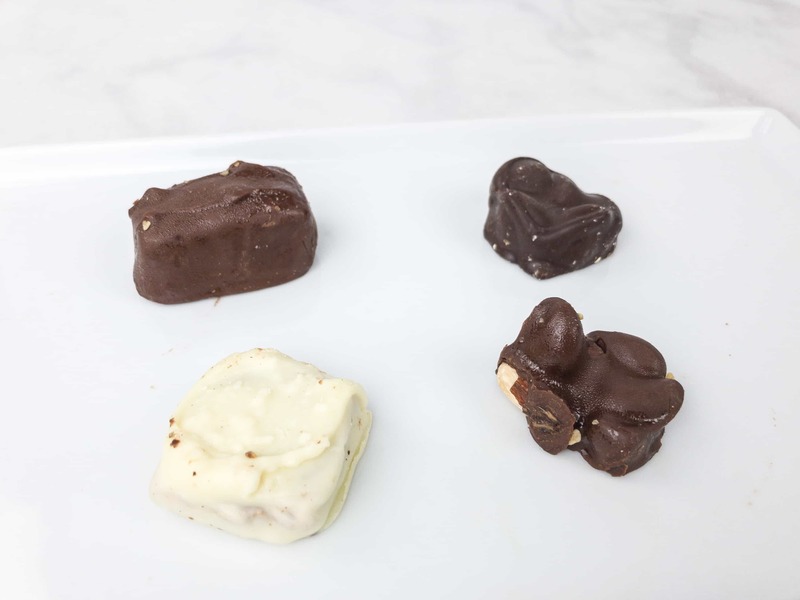 The white chocolate covered treat was actually a super buttery cashew toffee! 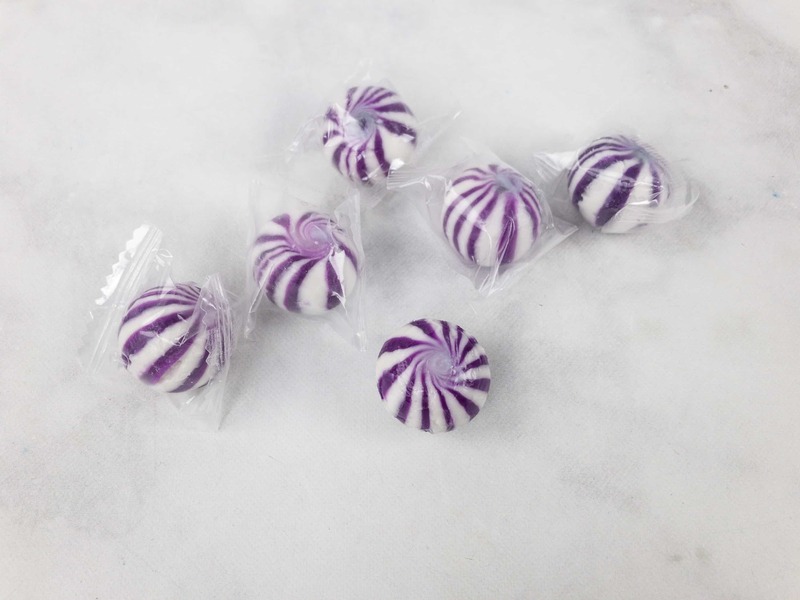 And these are just some purple grape flavored hard candies. 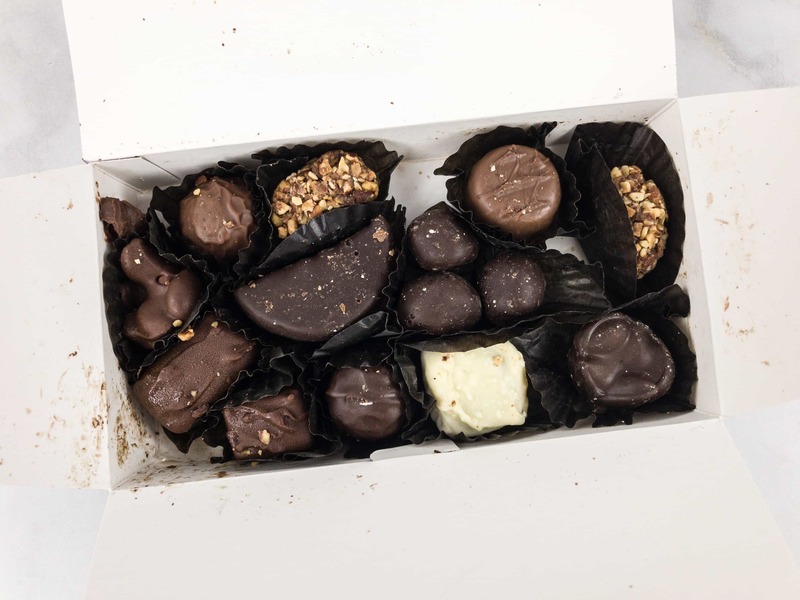 This box was super yummy and high quality with a great variety of chocolates and fillings, from white to milk to dark from fruity to nutty creams to toffee! 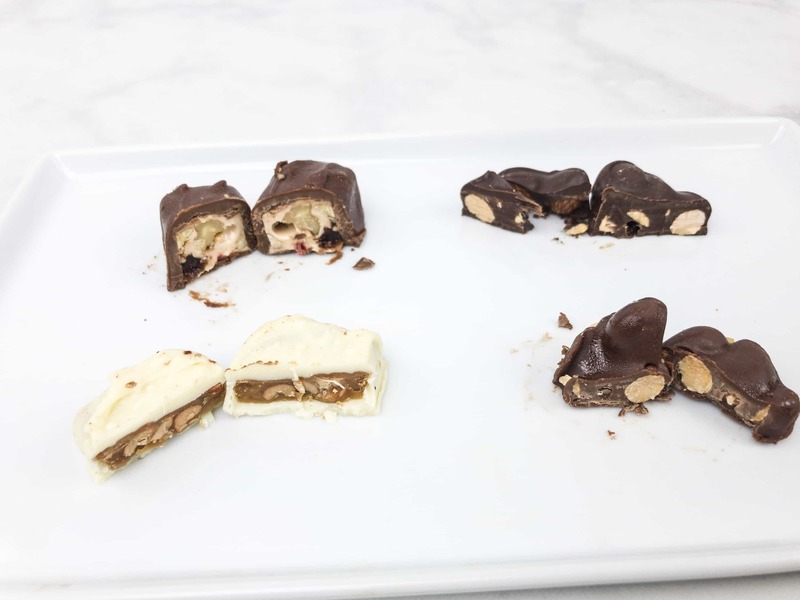 I wasn’t always sure what I was biting into, which is part of the fun, but it would be helpful to have an information card, but I suspect that they make what they make and send it out, and I can totally ride the wave of a nutty chocolatier’s whim of what they are presenting today – sort of like a tasting menu! 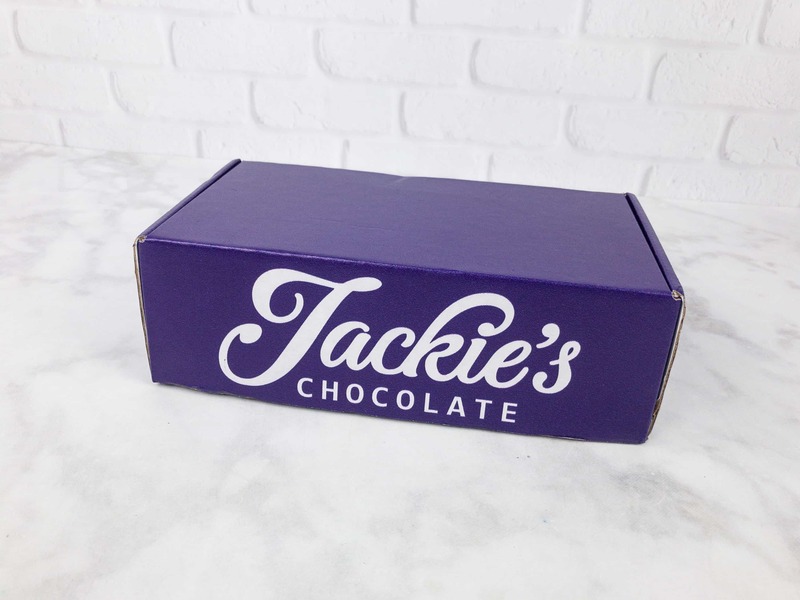 This box is perfect if you’re done with drugstore candies and ready to pay for high-quality filler-free chocolates and candies. 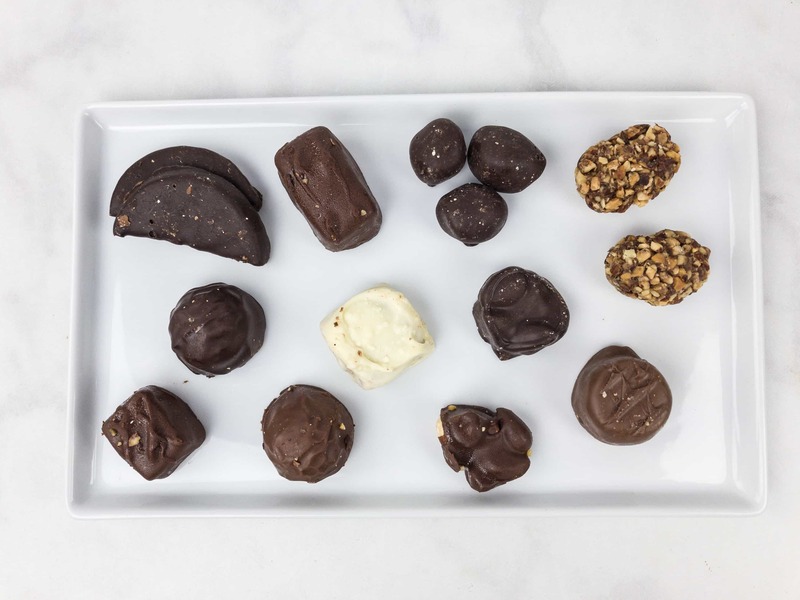 You can really taste the natural goodness and the quality of the preservative-free ingredients and they really are delicious, plus the presentation is perfect! 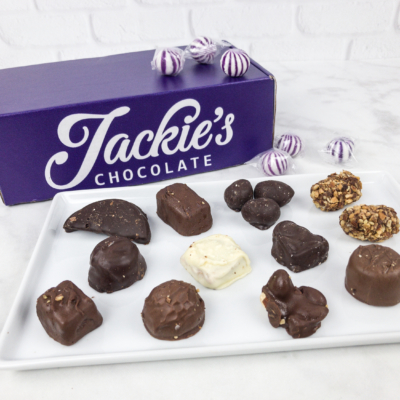 Visit Jackie’s Chocolate to subscribe or find out more! Save 15% off any subscription! 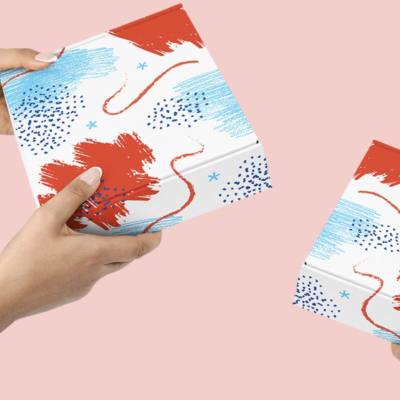 Use coupon code HELLO15 .